LAS VEGAS – As the scale and volume of video content continues to grow, it’s becoming increasingly advantageous for editors to move their workflows to the cloud, and ongoing concerns over security in the cloud tend to be misplaced, according to Joel Sloss, senior lead for media & entertainment–security at Microsoft Azure. Editors used to be able to air-gap their edit bays, but the scale and volume of content today means they need geometrically more capacity, and the logical answer is the cloud. 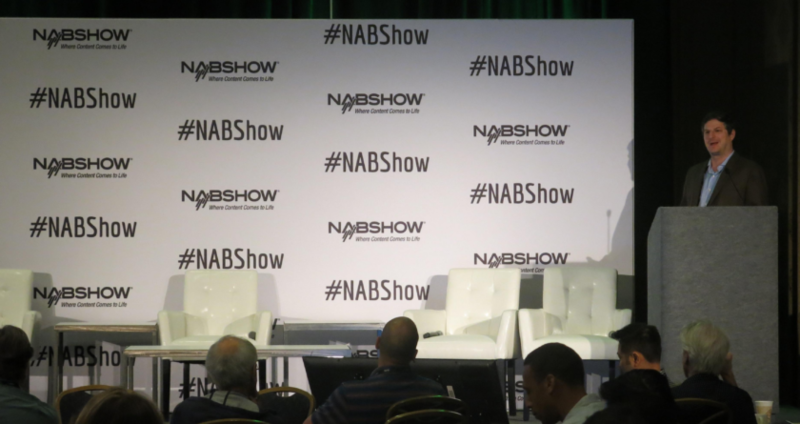 Today, “it’s not just editing” when one is looking to using cloud services for media and entertainment workflows, Sloss said, April 7, during the Cybersecurity & Content Protection Summit session called “Get it to the Cloud (Evolving Your Edit Pipeline)” at NAB 2019. At the same time, “we’re becoming more of a global community,” he said, noting that productions today often use multiple editors and other creative people working together from multiple locations. “You have to work with people around the world,” and cloud services make it a lot easier to accommodate that, adding much more flexibility, he said. Security requirements have, meanwhile, become more complex and we’re all having to figure out “how do I protect the content now as it’s flying all over the world,” he said. With cloud services like Microsoft Azure, “you’re getting the benefit of security at scale,” he said, explaining: “Instead of you having to hire all the teams, build all the infrastructure, do all these thing in order to be” compliant with regulations, “it’s there [already because] Avid has done the work, we’ve done the work in the cloud and we’ve partnered together to build this ecosystem where everything just plugs together and just works” across all regions. And those who turn to services like those provided by Azure and Avid get the added benefit of being able to access new capabilities including artificial intelligence (AI) processing and virtual browser-based workstations with High Dynamic Range (HDR), 4K Ultra High-Def and High Frame Rate (HFR), according to Sloss.